Motor racing fans will not want to miss the inaugural Vios Challenge race in Penang on August 12th and 13th as it has been touted to be the most thrilling and frenzied races in recent memory. Apart from featuring such luminaries as Keifli Othman, Boy Wong, Kenny Lee, James Veerapan, Syafiq Ali, Mark Darwin, Mitchel Cheah, Rocky Seow, Akina Teo and Tengku Djan Ley who will undoubtedly be gunning for honours in the very first Vios Challenge series, predictions by top race drivers who had their first test of the Vios race cars during a shakedown session at the Sepang Circuit unanimously agreed that the quality of racing would be very high with door-to-door battles and very hard-fought races on the cards. As all the race cars are identical, it will not be possible for any driver to rely on mechanical advantage to develop a significant lead or to pull away from the pack. This fact was clearly demonstrated during the shakedown when some of the top racers clocked lap times within a second’s difference of each other. “It is going to be a very close race,” said Keifli Othman, a veteran of saloon and open wheel racing and an early favourite in the Vios Challenge. 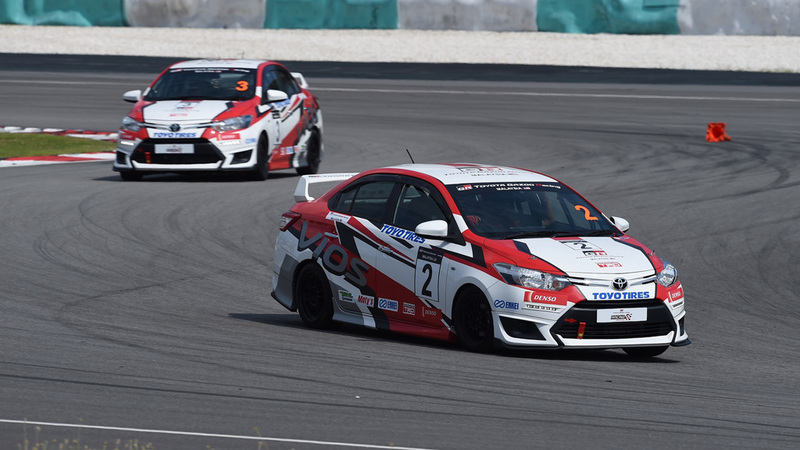 “The Vios is very responsive and easy to handle so newcomers and seasoned racers will have a lot of fun driving this car in the race,” said Keifli. Echoing Keifli’s statement, rally ace Kenneth Koh who cut his teeth on international rally circuits but making his debut on a race track in the Vios Challenge was quick to praise the ease of settling into a quick rhythm with the Vios. “The car is so easy to drive, I got used to it after just a few laps. It is very balanced with the right amount of power, handling, braking and acceleration so I think it is equal for beginners and expert drivers to handle the car,” said Kenneth. The 40 units of Vios Challenge racing cars have been built to identical specification using racing parts sourced mainly from Toyota Racing Development (TRD) including its exhaust system, suspension and most of the aerodynamic kits. The rims, tyres and fuel are controlled items supplied by the organizers during the race which further restricts the variables that drivers can exploit. According to another early race favourite Boy Wong who will be racing under Team ST Wangan’s banner, the nature of a one-make race negates the need for any racing strategy. “This is going to be a pure pedal-to-metal race from lights to flag. You won’t have any opportunity to think of strategies in the race. Everyone will be jostling to get ahead of the pack so you either keep up or defend,” said Wong. While some drivers may think that bulldozing their way in the race may be the only way to get ahead, owner of Dream Chaser Team CY Ong who is fielding three cars in the Vios Challenge feels that a disciplined driver will be needed to perform well in a race of this nature. “Having driven the Vios, I believe that this car will reward the gentle and smooth driver. If you’re too aggressive, you may lose too much momentum and actually fall behind. The way to drive it is by being smooth through the corners. I think that the driver who realizes this quickly will do very well,” said Ong. The drivers agree that the qualifying session in the Vios Challenge will be crucial as there would be limited opportunities to pass other cars on the street circuit if you qualify badly. The consensus of the drivers too was that the race would be one of the most exciting in recent memory. “We have not had a race of this nature and competitiveness in a very long time. I’ve waited so long for something like the Vios Challenge to come by and I am getting so excited about fighting it out in the first race in August. I simply cannot wait,” added Keifli. The Vios Challenge will be the headlining event at the Toyota GAZOO Racing (TGR) Racing Festival that kicks off with the first event on 12th and 13th August at the Batu Kawan Stadium in Penang. 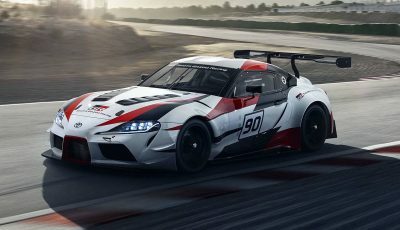 The Festival will host a myriad of activities including drift shows, celebrity performances, food trucks, test drives, and a showcase of the upcoming Toyota C-HR. Entrance to the event is free. Race fans can follow the developments and the latest information about the Vios Challenge by visiting the homepage Toyota GAZOO Racing Malaysia or liking the Facebook page.